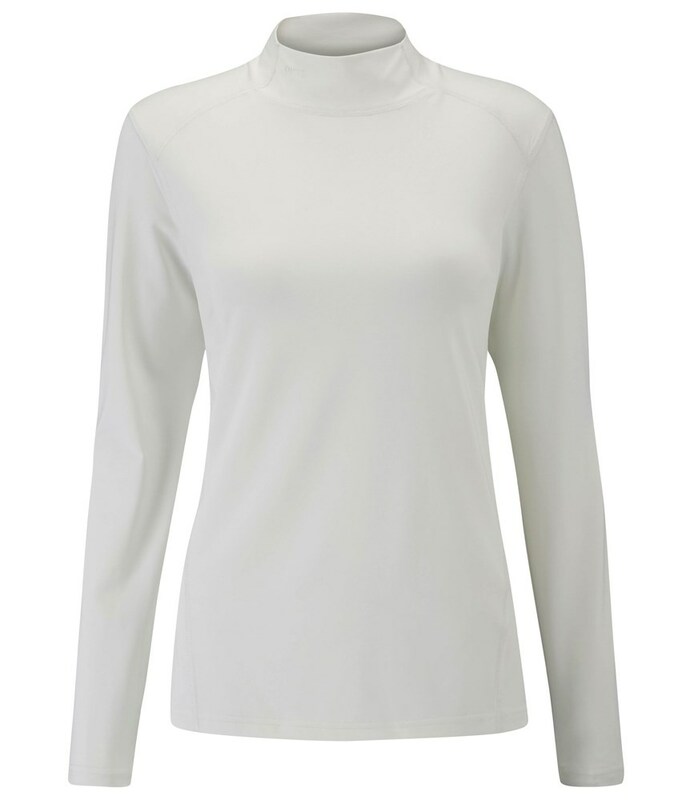 The Ping Collection Ladies Ella Fitted Base Layer sits next to the skin and will perform as a warming layer with stretch performance so that you do not feel restricted in any way through your normal movements on or off the golf course. 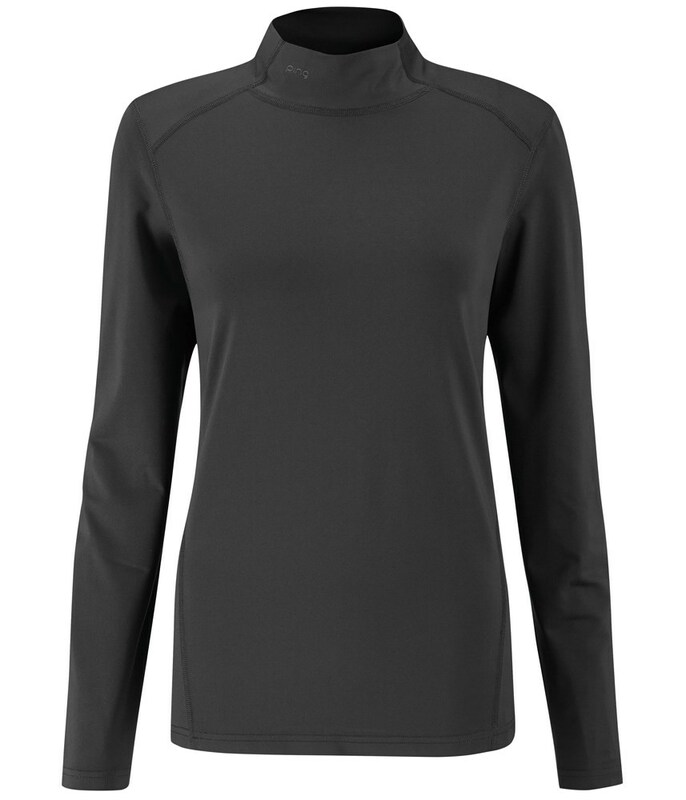 Ping have used a polyester and elastane construction to create a crease resistant, quick drying, moisture wicking fabric that will help control excess moisture by wicking it away from your skin and evaporating it quickly. 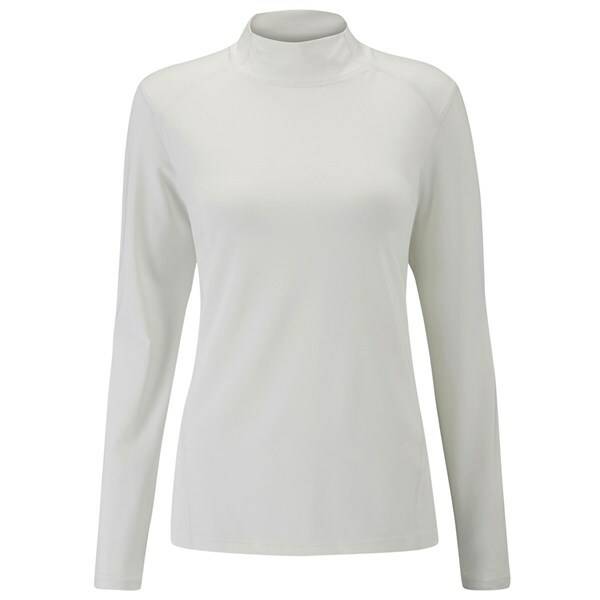 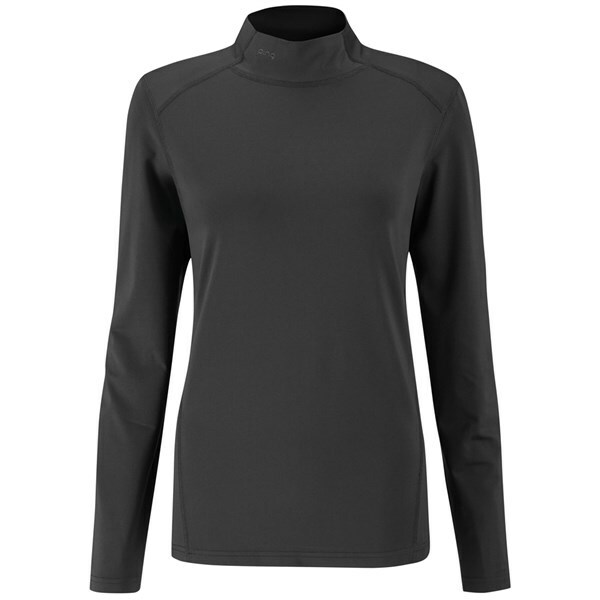 To reduce friction while moving the Ping Collection Ladies Ella Fitted Base Layer has flat locked seams and to prevent your body heat from escaping Ping have used a mock neck design that will look good under either a polo shirt or sweater combination.